갤러리이배는 2017년 8월 23일(수)부터 9월 17일(토)까지 전을 개최한다. 이번 전시는 동시대 현대미술의 거장인 이탈리아의 조각가 Peter Demetz와 일본 팝아트의 선구자인 Murakami Takashi의 대표적인 작품으로 구성된다. 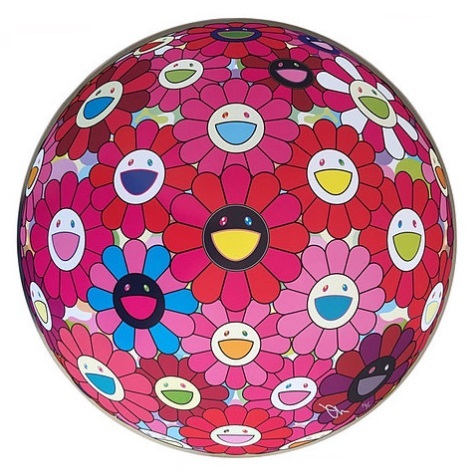 정교한 조각으로 나무에 생명을 불어넣는 Peter Demetz와 Murakami Takashisml 'Flower Ball' 시리즈 연작을 통해 독보적이며 창의적인 작품들을 만나볼 수 있는 소중한 기회가 될 것이다. 이탈리아 작가 피터 데메츠는 직접 수공으로 나무를 깎아 작품에 생명을 불어넣는다. 약 20인치에서 50인치까지 이르는 그의 조각 작품은 우리 주변에서 정감 있게 마주치는 평범한 남녀와 아이들로 형상화된다. 이 형상은 평평하고 단순한 색면을 배경으로 자리하고 있다. 작가의 놀라운 관찰력과 집중력이 발휘된 디테일한 조각은 보는 이로 하여금 경외감을 불러일으킨다. 형상들이 마치 실제로 존재하는 것처럼 묘사한 인체는 극사실 조각의 진수를 보여준다. 형상에 표현된 생생한 옷감의 결, 느슨하게 묶은 머리칼에서 감정이입과 더불어 자신만의 정서를 경험하게 된다. 피터 데메츠의 작품은 개념적으로도 매우 흥미롭다. 그의 작품은 회화와 조각이 만나는 지점에 위치하며, 특정한 관찰자의 시점을 드러낸다는 측면에서 매우 회화적이고 3D의 공간감으로 조각의 성질을 지닌다. 하지만 작가 자신은 스스로 조각가임을 확실히 표명한다. 피터 데메츠 작품의 회화적 특성은 회화가 가져다 주는 효과를 드러내기 위해서라기보다는 조각이 지니는 고유한 특성을 극도로 발전시키기 위한 것이다. 이를 위해서 그는 다양한 시점과 목세공 기술을 사용한다. 그의 조각이 지니는 위대한 점은 조각의 공간학적 규칙을 변혁한다는 점이다. 또한, 작가는 보는 이가 신체적·정서적으로 정립하고 상호작용하는 요소들을 작품 내에 전면적으로 표현하지 않는다. 그의 작품 속 형상들은 주로 형상의 뒷면에 자리한 배경을 바라보는 모습으로 표현된다. 이로써 우리는 형상의 사색적인 특성을 확인하게 되는 것이다. 작품 속 공간 안에 있는 사람의 형상으로 인해서 작품 바깥에 있는 보는 이는 낯선 위치에 놓여진다. 작품은 작품 앞에 있는 이들이게 다른 누군가를 알아채기를 제안한다. 등장인물들의 자세와 공간과의 관계를 통해 작가는 우리로 하여금 신체의 공간적 언어에 의해 드러난 개인의 내밀함을 주시하게 만든다. 이로 인해 보는 이는 작품의 등장인물들로부터 다양한 감정을 느끼고 스스로 그러한 정서를 확인하게 된다. 모순적이게도 이러한 정서적 식별은 등장인물들이 위치하는 공간을 특징짓는 아무런 요소가 없다는 사실에 의해서 더욱 향상된다. 실제로, 작가는 그의 작품에서 최소한의 요소들만을 묘사한다. 방의 일부, 혹은 벽, 그 안에 있는 인물. 보는 이는 계속해서 등장인물들의 관심을 사로잡는 장면 안의 세부사항들을 발견하게 될 것이다. 일본을 대표하는 현대 미술가이자 팝아트의 대가인 무라카미 타카시는 하급문화로 분류되는 만화, 애니메이션, 게임을 배경으로 한 오타쿠 문화를 회화나 조각기법을 활용하여, 고급문화로써 주류화 시켰다. 그의 작품은 우키요에와 오타쿠라는 전통미술과 현대문화의 결합을 기반으로, “작품이란 결국 캐릭터다”라는 생각에서 출발하였다. 밝고 경쾌한 느낌의 선명한 색채를 이용하여 캐릭터의 귀여움을 한 층 돋보이게 하고, 동그란 얼굴의 이등신 캐릭터로 일본 대중들에게 사랑받은 시리즈를 비롯하여, , 등의 시리즈들을 통해, 인간의 감성과 본능을 자극하는 캐릭터들의 그로테스크한 이미지와 가와이한 상반된 이미지가 함께 배치되면서, 기이하면서도 묘한 매력을 발산한다. 또한 ‘수퍼플랫(Super Flat)’ 이론을 내세우는 무라카미 작품의 개념에서 작가 자신의 정체성을 유지하면서 세계적으로 수용될 수 있는 형태를 만들어가고 있음을 알 수 있다. 현재 무라카미 타카시는 2001년에 설립한 예술사업과 작가 에이전시 기능을 가진 법인 ‘카이카이키키(KaiKai KiKi Co.)’를 통해, 아트작품의 제작과 판매, 작가 프로듀스, 아트페어의 기획, 운영 등을 이루고 있다. 피터 데메츠는 1969년 이탈리아 볼자노 출생으로, 1993년 ‘Maestro scultore‘ 과정을 졸업한 이후, 2008년부터 시작된 60여회의 개인전과 단체전을 성공적으로 이루어냈으며, 2007 ’볼차노 페어 창립 60주년 기념상‘ 수상을 비롯하여, 2008 ’Premio Arte’ 아트 매거진 영예상 수상, 2009 ‘Eroism–inier, ncuei, duman’ 영예상 수상 등 수많은 수상경력 또한 이루어냈다. 현재는 이탈리아 대표하는 회화적 조각가로서 세계적인 명성을 인정받고 있다. 무라카미 타카시는 1962년 일본 도쿄 출생으로, 1993년 도쿄 예술대학 대학원 미술학 박사를 졸업한 이후, 1988년부터 현재에 이르기까지 90여회의 개인전과 170여회의 그룹전을 성공적으로 개최하였으며, 2001년 ‘카이카이키키’의 창립자이자 일본의 대표 팝아티스트로서, 2002년 루이비통과의 협업을 비롯한 2007년 칸네이 웨스트의 앨범 커버 외에도 많은 예술가들과의 협업을 이루어냈다. 2008년에는 세계에서 가장 영항력 있는 인물 100인으로 뉴욕 타임지에 선정되기도 하였다. It has been often pointed out that Peter Demetz's works are a meeting point between painting and sculpture: his are not actual sculptures because the artist chooses to display a given point of observation, but they are not paintings either because they tend to the third dimension. They have depth, but the rules of perspective they are subject to are not geometrically perfect (Adriana M. Soldini, 2011). 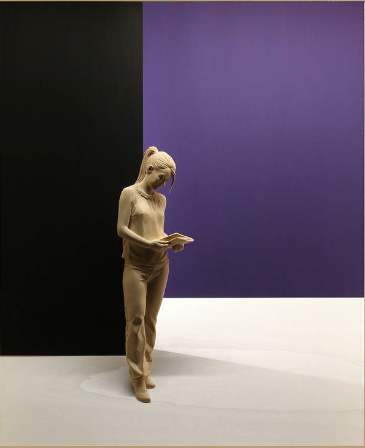 And yet, despite the artist introduced the use of colours and inner lighting into his latest production, I believe that Peter Demetz's works are to considered as sculptures: the interest that they arise is due to the fact that the observer approaches them as he/she would approach sculptures. The material they are made of - which refers to a very ancient tradition of wood sculpture - as well as their being projected in the space towards the observer (rather than their being three-dimensional) recommend the observer the use of those interpretation tools necessary to read sculptures. Peter Demetz himself strongly reaffirms his being a sculptor. 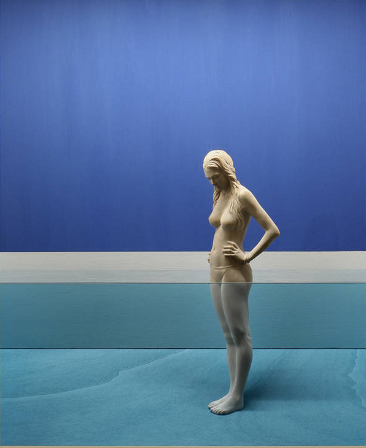 His ability is not to introduce the effects caused by other media into his sculptures, but to develop to extremes the peculiar features of sculpture. In order to achieve this, he uses a range of perspective and woodwork techniques which have their roots in a centuries-old tradition (which we will develop further in the following paragraphs). 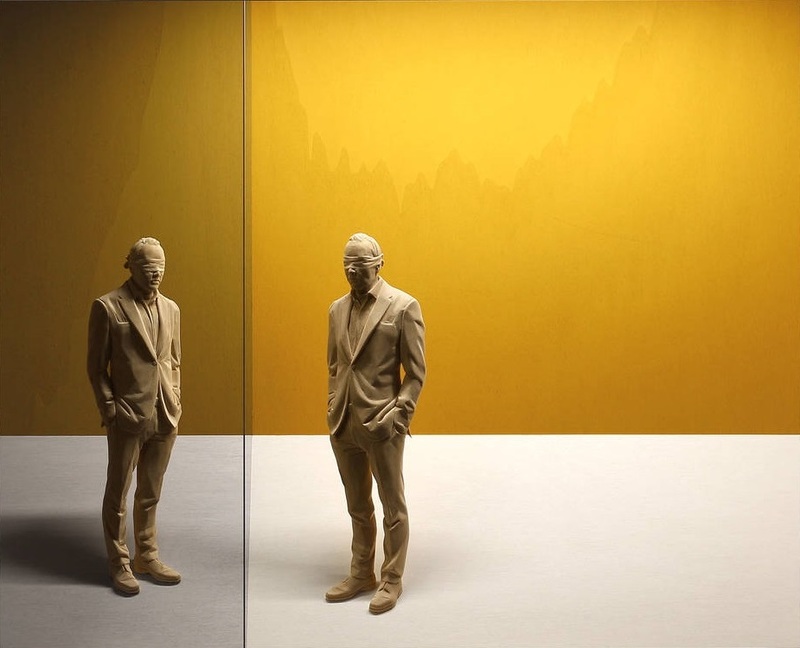 The great news in Demetz's sculptures is the fact that they fully revolutionise the rules of sculpture proxemics. The artist is not creating all-round elements which project themselves in space, with which the observer interacts and establishes a physical and, subsequently, emotional relationship, but he creates human figures (rather realistic representation of persons) that are already within their own space, with which the observer establishes an indirect relationship; he/she is outside the represented space and he/she finds him/herself looking at a figure that interacts with the space he/she lives in. The way in which Peter Demetz portrays his characters puts the observer in a strange position: the one who watches without being watched. It is a subtle psychological game which suggests the idea to "spy" someone else to those who are in front of his works. Thanks to the posture of his characters and their relationship with the space, Demetz allows us to watch the intimacy of the individual, which is disclosed by the proxemic language of the body attitude and its reaction to the surrounding space can indicate someone's emotional state! Curiosity, loneliness, concentration, interest, surprise, and so on, come from Demetz's characters and these are the emotions with which the observer identifies him/herself. Paradoxically, the identification is enhanced by the fact that there is no element to characterize the space where the characters are located. 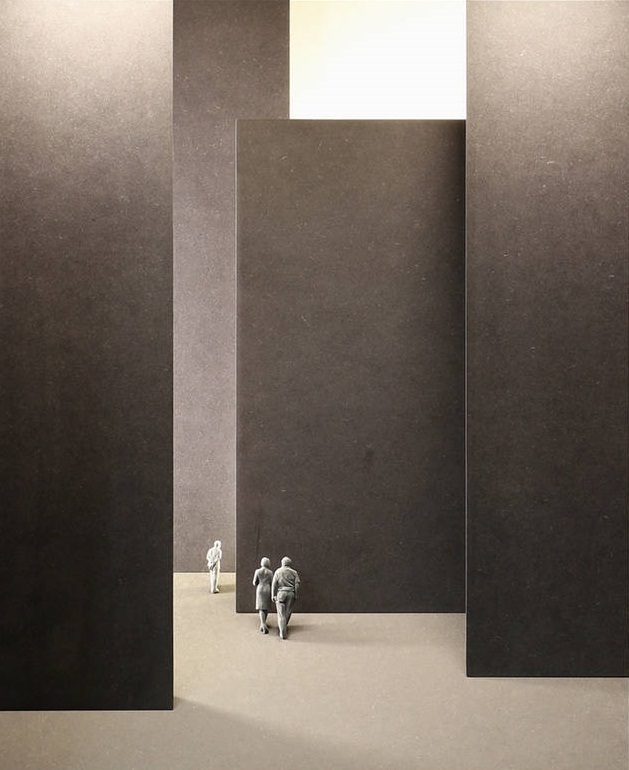 In fact, Demetz portrays just very few elements: a portion of room (sometimes only one wall with the floor), without any other details, and the figure-or-figures-inside of it. Most of the time, subjects stare at something out of the observer's sight: beyond the portrayed scene, far away (or beyond a threshold), or inside the scene, a detail that remains invisible to the observer's eye. Perhaps the curiosity remails to discover the detail inside the scene that catches the characters' attention: nevertheless, the observer-unable to look at the detail seen by the character - can only look at its body and he/she focuses on it: its location in the space and what it is expressing. The only exceptions are those figures that look at themselves in the mirror - where Demetz enters the private space of his characters. Most of the scenes portrayed by the artist are "public", that is, they are actions that you can observe in many social environments. And yet, private and public scenes can represent the intimate life of the character: its way to react (Physically) to a particular emotional state. The artistic tradition by which Peter Demetz refers to, is not only the ancient custom of working wood(which has always been carved in the province where the artist lives), but in his case the ability to carve wood works as an expressive alphabet. In Ortisei, where Demetz lives, the carver masters have handed down from generation to generation the secrets of selection and the use of wood. But this knowledge, and the ability that comes from it, is not enough to explain by itself the interest that the artist's work evokes. Demetz manages to blend, using the "language of wood", centuries of research on a frontal view, the perspective, the theater and the sculptural relief. His works are constructed according to the rules of an "accelerated solid perspective": this definition describes a geometrical construction that, by imposing studied deformations of the elements, allows you to simulate an illusory depth much greater than actually used in the artwork. In the field of architecture the use of this type of illusory perspective has known examples of great refinement in Italy: in the apse of Santa Maria presso San Satiro in Milan(1482) by Donato Bramante, in the perspective gallery of Palazzo Spada(1640) by Borromini and the Scala Regia in the Vatican(1666) by Gian Lorenzo Bernini. The rules for the application of this type of perspective was described for the first time in the first two Books of Architecture by Sebastiano Serlio, Published in 1545, But its practice has been developed mainly in theater design rather than in architecture (hardly ever in sculpture). 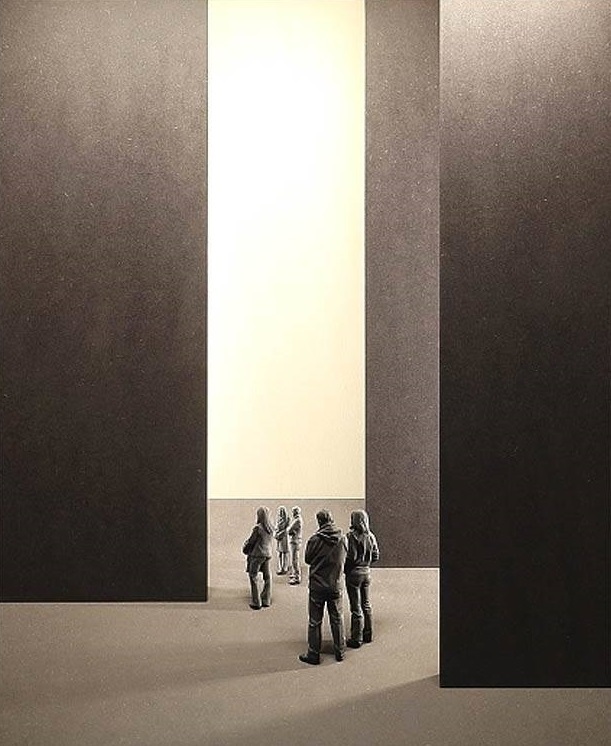 Architecture and scenography have found a masterly fusion, through the use of the "accelerated solid perspective", in the Teatro Olimpico in Vicenza, designed by Andrea Palldio. The reference to theatre, is of the atmost importance to understand the sculpture by Peter Demetz because another characteristic of his works refers to theater: the decomposition of each sculpture is thereafter displayed in wooden layers. During the Baroque ages theater knew the canonization in the form of a horseshoe; the use of classical sceneries (which dated back to the study of Vitruvius) was thus abandoned in favour of more agile and interchangeable sceneries, adopting framed panels, absolutely flat, repeated in series one behind the other, in a frontal position to respect the observers. Thus, the artificial scenery was decomposed in a series of consecutive pictorial or sculptoral images, arranged mostly parallel to the proscenium. Andrea Pozzo, in his treaties, the Perspectiva pictorum et architectorum, in 1693, proposed clear rules of perspective for the construction of this type of scenery. Demetz uses the frames of his sculptures with all its various, consecutive wooden layers as if they were backdrops in a theater where human figures move like actors. Not only is it in the architectures of the Demetz's sculptures possible to get some ancient references; but also by the characters present in the sculptures which are constructed using a method invented by Donatello in the early Renaissance: the "stiacciato". 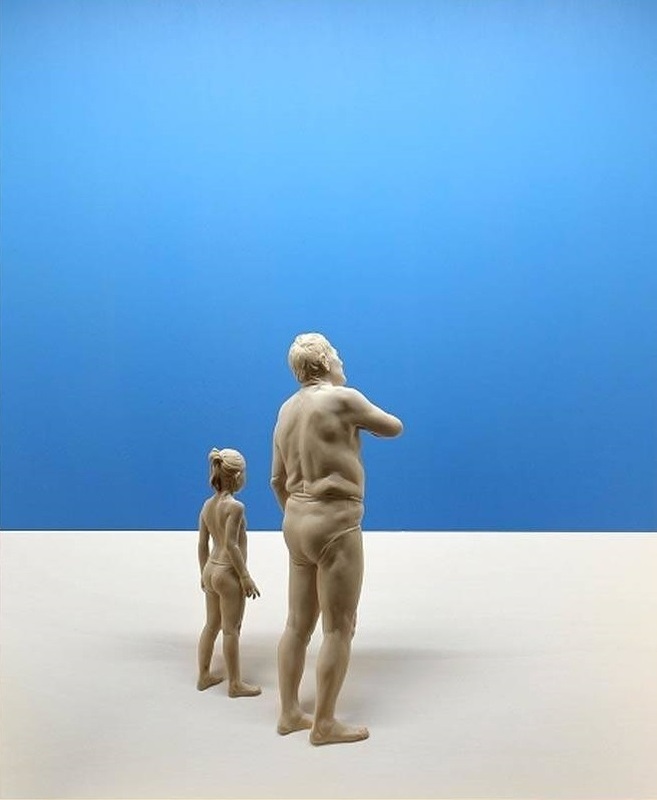 It is a technique that allows one to realize the sculptural reliefs with minimal variations, which can be both projecting and hollowed with respect to the background. To provide the viewer with an illusion of depth, the thickness decreases gradually from the foreground to the background. 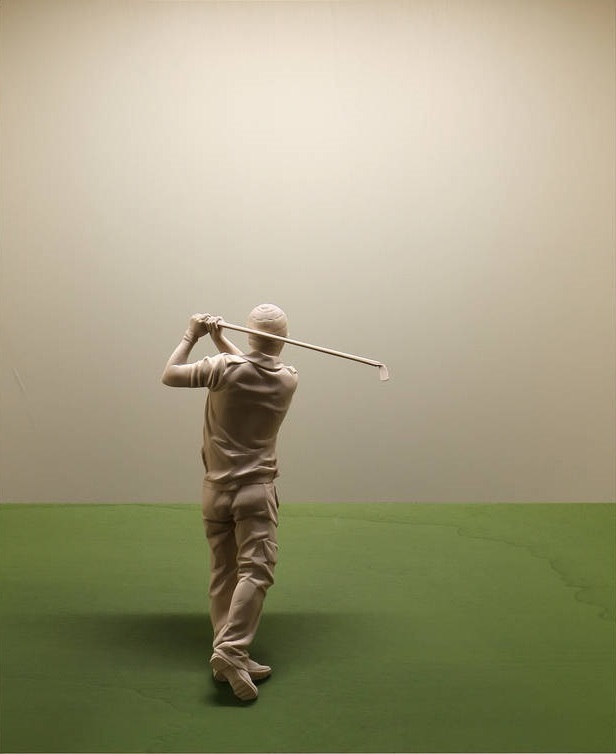 This technique is, in some respects, more similar to an image than a sculpture and for this reason it is perfectly suitable to the application of the perspective. The human figures in the works of Demetz are extremely realistic and rich in details (so much so that you often have to stay very near to be convinced that they are made of wood), however, they are not all-round, but in relief - a relief "siacciato" - which, as the architectural context where the characters are placed, simulates a larger depth than that actually used. 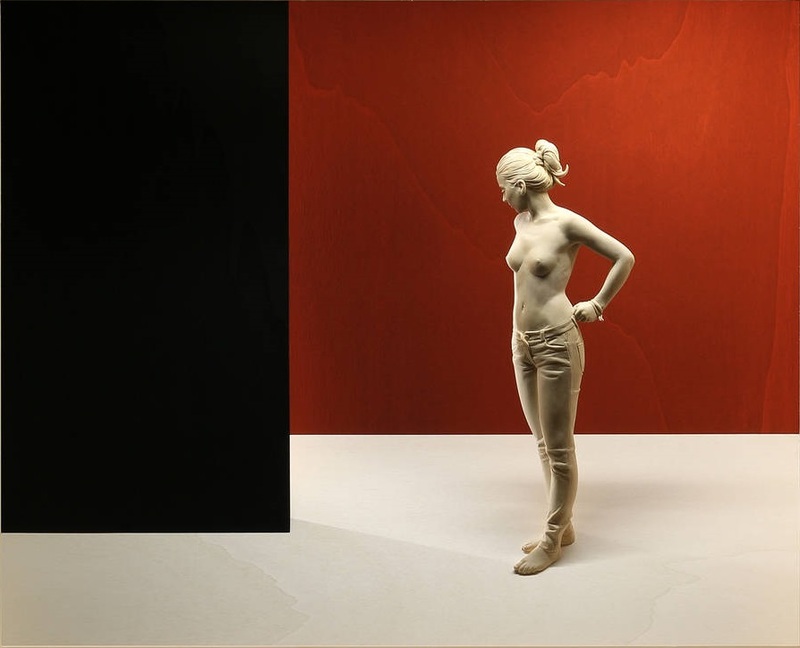 The great capacity of Demetz consists in assimilating all these ancient illusory techniques, melting them together in a sculptural manner which manifests its modernity. 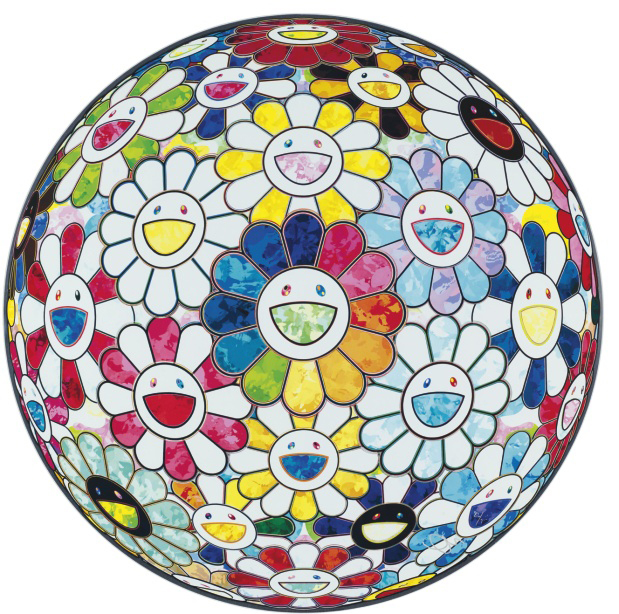 The son of a taxi driver and a housewife, Murakami grew up in Tokyo, then attended Tokyo University of Fine Arts and Music, the country's most prestigious arts institution. He holds a Ph.D. in nihonga -- the refined hybrid of European and traditional Japanese painting that was invented in the late 19th century. Nihonga, in which traditional resins and pigments are employed to render likenesses of bouquets and landscapes, is a rarefied branch of present-day Japanese art. 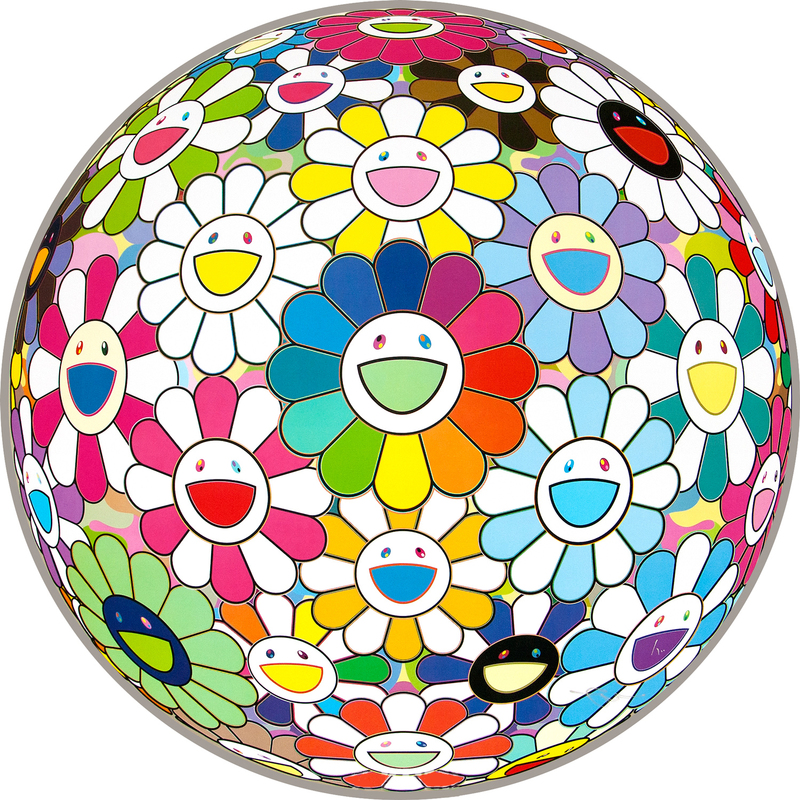 All the time he was practicing it, Murakami said, he wished instead that he had the talent to draw the manga and anime of otaku culture. The apotheosis of kawaii culture is Hello Kitty, the big-eyed, beribboned, expressionless pussycat character that stokes a billion-dollar-a-year business for the Sanrio company. Created in 1974, the Kitty character took off in 1985, first in Japan and then internationally. When I asked Matsui how she accounted for Kitty's popularity, she practically shrieked in response: ''Because I think humanism is dead! Because people are weak and scared.'' In a more measured tone, she added: ''It's easy to accept Kitty because it's so dumb and expressionless. It doesn't demand that you make any reference.'' 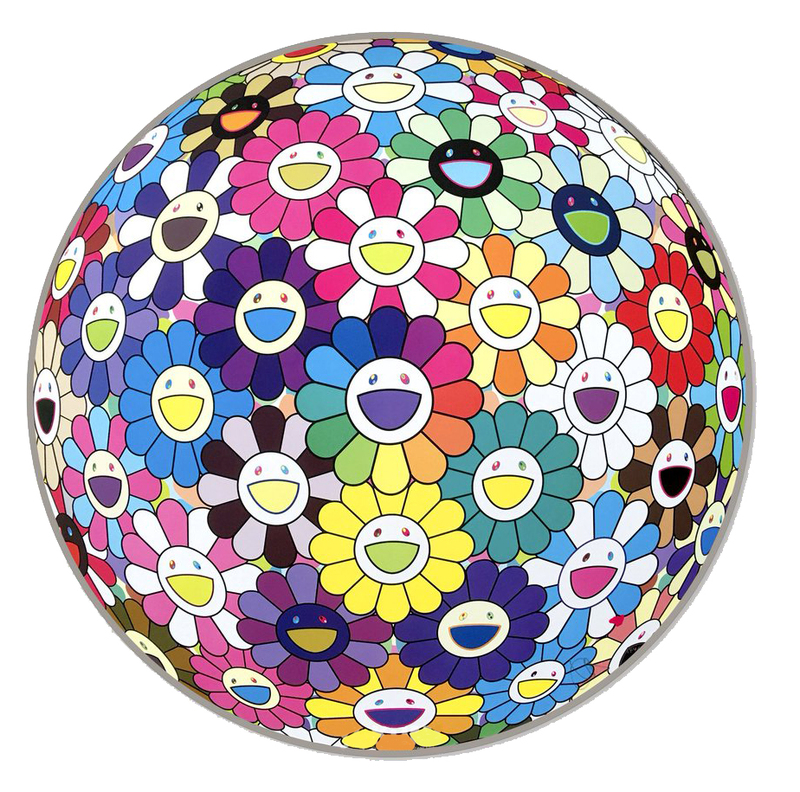 Murakami understands the infantilism that underlies the Hello Kitty phenomenon. 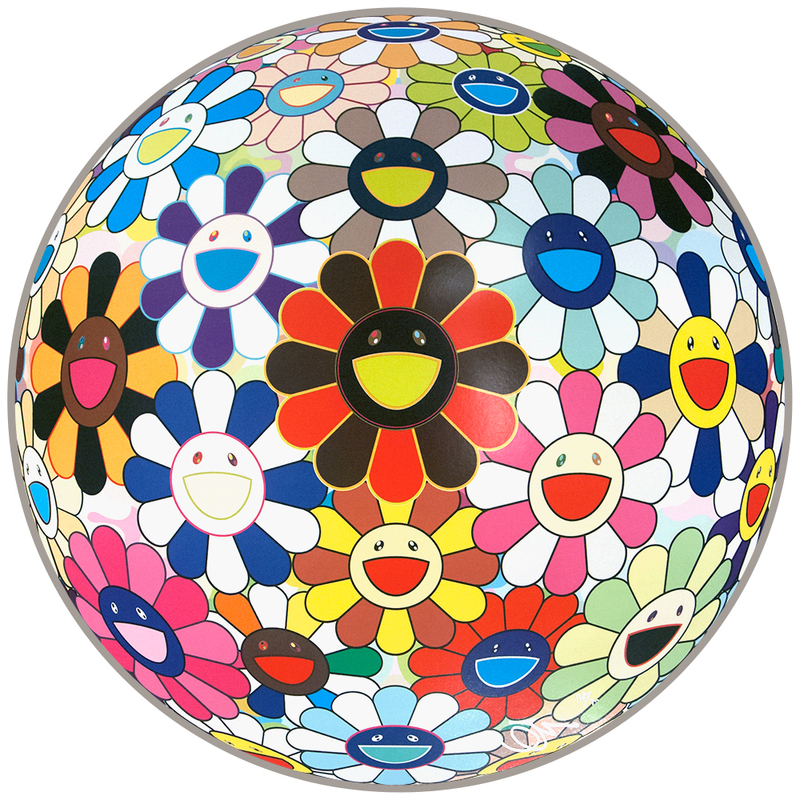 Like otaku culture, kawaii culture for him is an expression of Japan's postwar impotence. (In a photograph with the strapping General MacArthur, the diminutive, once divine Emperor Hirohito looked very kawaii.) 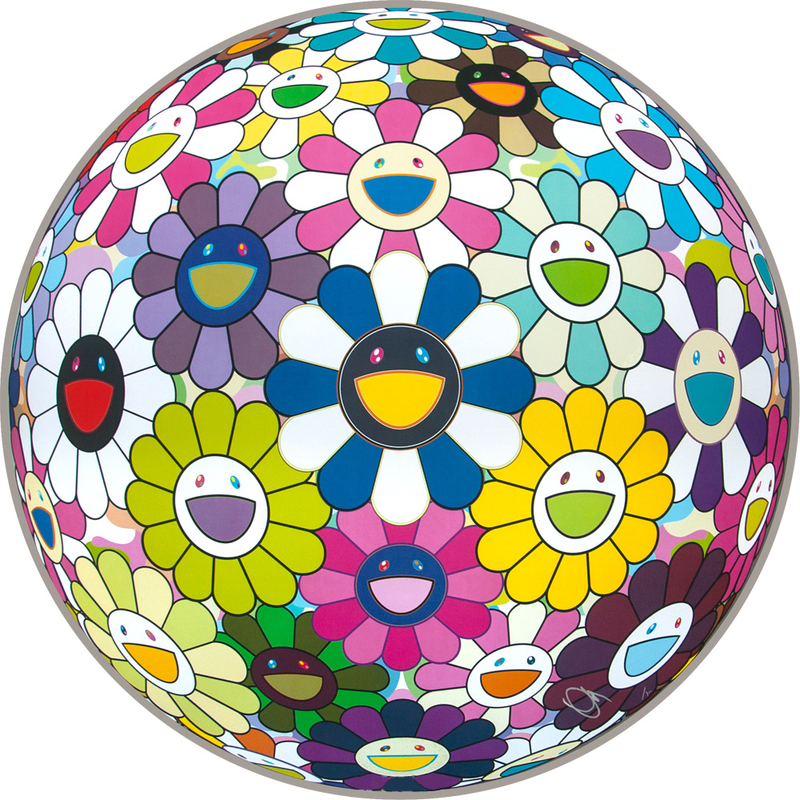 However, Murakami is also designing characters that for those unacquainted with his analysis seem simply -- and irresistibly -- kawaii. It's a delicate balancing act, reaching a mass audience while maintaining a critical distance. ''I created Mr. DOB for a really serious reason, but girls would say, 'Oh, cute,''' he told me. 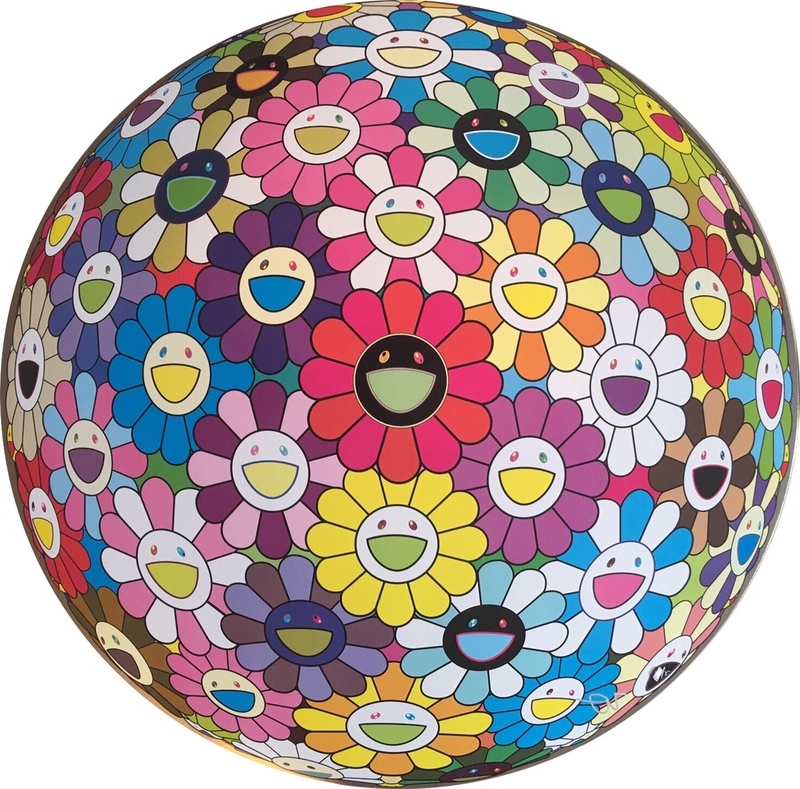 ''Japanese don't like serious art. But if I can transform cute characters into serious art, they will love my piece.'' The early DOB's were often distorted and belligerent or combined with jagged lines and distressed surfaces that alluded to traditional Japanese painting. More recently, they seem simply cute. 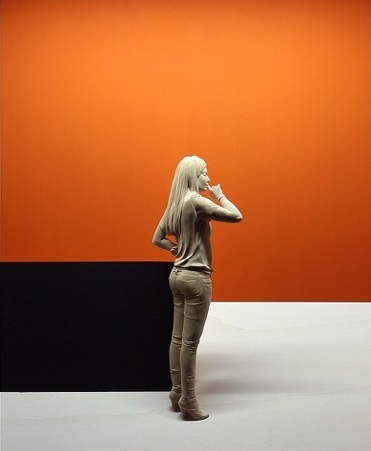 2014 "Hyper Realities, ), Piretti Art Gallery, Knokke, Belgium. 1988 Tokyo National University of Fine Arts and Music, M.F.A. 1986 Tokyo National University of Fine Arts and Music, B.F.A.